Indeed, it is. After a tiring day, slogging at work till 8 PM, going back to home in peak traffic and reaching after 2 hrs is of course not comfortable. Rajiv returns home by 10 pm daily to see his kids sleeping and his wife frustrated by managing 2 active kids alone. 2 years ago, life was simple and happy. Less work, office nearer to home, more family time and no pressures. But, It didn’t satisfy him. He wanted more money, a higher position at work and more luxuries to their family. Not a big deal right? All his wishes were complete with some sacrifices – more work, more pressure, and more responsibilities. It followed with health problems, less family time and no peace. With the home loan and car loan hanging on his neck, he cannot go back to his simple life. Being busy with everything, did he forget to enjoy simple pleasures in his life? Was he busy dying or busy living? 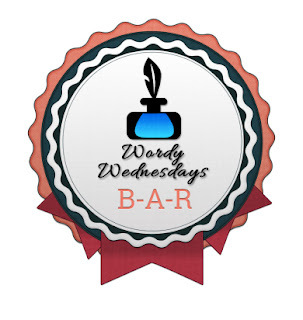 Linking this to #WordyWednesday hosted by Shailaja V. Highlighted are the sentence prompts. Good question. Far too often, we look at money as the big change that's needed, and forget how the little things that matter can change too. :) Nice take on the prompt. Thanks Vinay, Somehow I feel, most of us can relate to this situation very well. Thanks Pratikshya. True, we all need to think about at some point of time at least. Superb Ramya ..... When I saw this writing prompt from BAR I thought to leave it. But you have taken the challenge and you made it !!! Congrats, dear !!! Many couples make such sacrifices these days. Worth it? But what can they do otherwise? Yes, Parul. When we want to go back after some point there is no easy way back due to responsibilities. Of course, we make use of holidays, take vacations and try to spend more time with family by taking off from work. Atlast peaceful life is what we aim to reach for. True...what was he after and was it worth it after all...? Happens to so many of us.... life just goes by working. Nice take on the prompt.